The five girls represented Nigeria and Africa at the World Technovation Challenge in the Silicon Valley in San Francisco, where they won the Gold Medal in the contest. The girls – including Promise Nnalue, Jessica Osita, Nwabuaku Ossai, Adaeze Onuigbo and Vivian Okoye – defeated representatives of other technological giants including the USA, Spain, Turkey, Uzbekistan and China to clinch the gold medal. 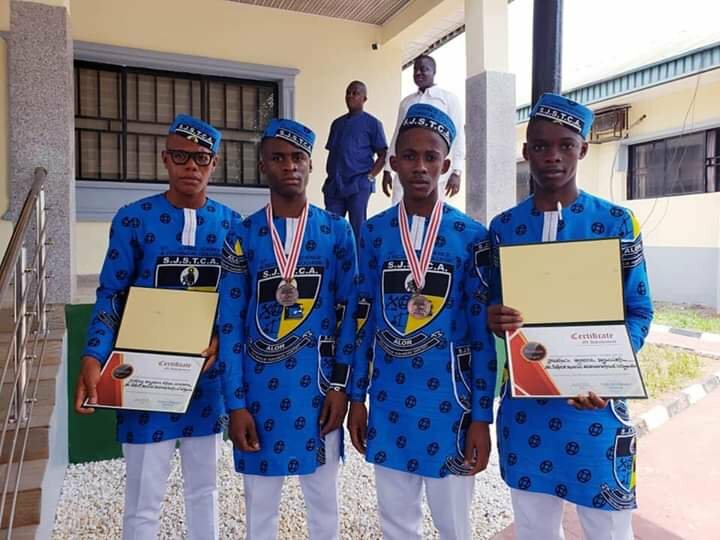 Similarly, the boys – Meshac Ugwuisi, Anthony Chika-Umeora, Daniel Nwachukwu and Dominic Machi, clinched Bronze medal at a recent International Festival of Engineering, Science and Technology (IFEST) competition in Tunisia. The boys developed two devices called the “Adaptable Alternative Power Supply for Sub-Saharan Africa”, which is a single, fully-packaged solar technology. The other device was a “Noiseless Inverter System”, which was all-locally sourced and produced by the boys. “I spoke with the Deputy Governor of Anambra State. I told him that those girls can change the economy of Anambra State. They’ve already discovered them. “Let them bring them back to Silicon Valley. We will bring them in front of Angel Investors. For them to win that award, they are worth billions of dollars. “That is my advice for Nigeria. The Nigerian and Anambra Governments should monitor the students. Let them bring those girls back, we will repackage them and let us see what God has in stock for them. “Anambra state is the luckiest state in Nigeria right now if they know their (girls and boys) potential, if they know the value of those kids, those are protégées. “If they buy that thing (inventions) for a couple of billions, everybody will shake because they are potential billionaires. I love my country. “I saw those Anambra girls and boys littered all over Nigeria. All they need is opportunities and we have it in Silicon Valley,” she said. “But there is something I see about those kids if we utilise their intellectual property positively. “Let’s commend Anambra Government for investing in education and see what the girls and the boys have brought. “Can you beat representing Nigeria and Africa in the Technovation Challenge in Silicon Valley. Their software has the potential of tracking the challenge of fake pharmaceutical products in Nigeria, that’s huge, that’s saving lives. “Can you imagine those are kids. If they are in America, they will be celebrated. “The boys developed a device – Adaptable Alternative Power Supply – for Sub-Saharan Africa, not only Nigeria and then, a noiseless inverter. “To be honest, climate change is real. The heat Nigeria experienced and the destruction caused by storms are effects of climate change. So clean energy is the future,” Ajayi said.